Stay Connected at all times by downloading Serra's mobile app! 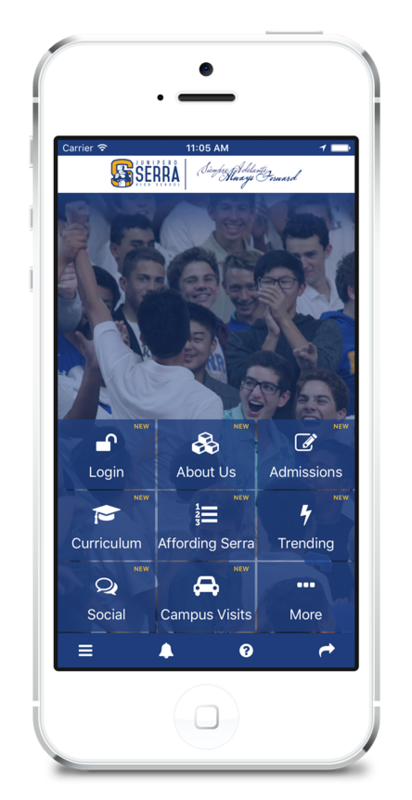 Designed for students, parents, alumni and prospective families, Serra's new mobile app provides the latest news around campus, calendar and special events, social media activity and more. Select your mobile app store below and download directly to your device today!